Having to go to Court for an Oakland County Michigan retail fraud charge (also known as retail theft or shoplifting) does not make you a bad person. In fact, retail fraud is a frequently prosecuted offense in Oakland County by State and city prosecutors, but it is often only based upon an isolated incident due to a momentary lapse in judgment. However, just because retail fraud accusations are frequently prosecuted in Oakland County courtrooms, it does not mean that there are not serious consequences or that it will not affect your life in some type of negative manner, because any criminal record for retail theft can have many potential damaging repercussions. The repercussions of an Oakland County Michigan shoplifting conviction may include: the loss of your freedom (incarceration); probation with inconvenient and difficult conditions; loss of employment opportunities; professional licensing issues; loss of educational opportunities; steep fines and costs; immigration complications (for persons that are not United States citizens); embarrassment, etc. If you need to go to Court for a retail fraud charge, you need a top notch locally based criminal defense attorney who will fight to protect you and your way of life. First Degree Retail Fraud is a felony charge that carries up to a 5 year maximum prison sentence (there is no mandatory term of incarceration that a Judge must impose) that is prosecuted when the merchandise involved is $1,000 (one thousand dollars) or more, or if the merchandise involved is $200 (two hundred dollars) or more and the person has a prior theft conviction. Organized Retail Theft is felony charge that carries up to a 5 year maximum prison sentence (there is no mandatory term of incarceration that a Judge must impose), that is also subject to applicable habitual offender sentencing provisions. The offense occurs when the alleged intent of the Defendant is to commit a retail fraud and to resell the stolen merchandise to another person or business. Second Degree Retail Fraud is a misdemeanor charge that carries up to a 1 year maximum county jail sentence (there is no mandatory term of incarceration that a Judge must impose), that is prosecuted when the merchandise involved is at least $200 (two hundred dollars) but less than $1000 (one thousand dollars), or if the merchandise involved is under $200 (two hundred dollars) and the person has a prior theft conviction. Third Degree Retail Fraud is a misdemeanor charge that carries up to a 93 day maximum county jail sentence (there is no mandatory term of incarceration that a Judge must impose), that is prosecuted under either State law or local ordinance, when the merchandise involved in the offense is less than $200 (two hundred dollars). Removal of a Theft Detection Device is a misdemeanor charges that carries up to a 365 day maximum county jail sentence under State law (there is no mandatory term of incarceration that a Judge must impose). Many retail establishments have implemented loss prevention related procedures with the goal of reducing retail fraud losses, reducing insurance costs, avoiding litigation, and deterring store theft. It is not uncommon for a retail establishment to hire trained asset protection personnel and use theft detection devices with up to date technology (theft detection devices, closed circuit television, etc.) to combat the costs and liabilities associated with retail theft. Even with up to date loss prevention technology and intensive employee training, mistakes are still made and persons are still sometimes falsely arrested due to errors in judgment (false identification of a suspect, false interpretation of a situation, etc. ), cultural issues, and procedural errors - all of which can potentially lead to obtaining an acquittal, dismissal, or negotiating for a great result. The lawyer that you select to retain will obtain all the available discovery materials to fully and properly defend the case, which can include the following: police report(s), loss prevention report(s), witness statement(s), in store video(s), police video(s), photograph(s), statement(s) the police and/or loss prevention claims that you made, etc. Ultimately, you can either fight your case at trial in front of a Judge or jury, or resolve the case through a plea or plea bargain. Reaching a settlement of your retail fraud accusation without a trial may involve a plea bargain (an agreement with the prosecution to dismiss, expunge, or reduce the charge(s) against you) or a sentence agreement (an agreement with the Judge [such as a Cobbs or Killebrew agreement] to impose a specific sentence, such as avoiding or limiting any confinement). Before your next Court date, make the wise decision to hire an experienced top tier local defense attorney to help you obtain the best possible result for your circumstances. Again, a shoplifting conviction will likely cause you problems well into the future, including making it extremely difficult to find a job or establish a good career, because many employers do not want to risk hiring someone convicted of stealing. 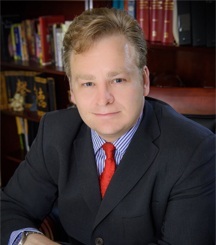 Retain top notch Oakland County attorney Daniel Hilf to defend you, because he is an impassioned, zealous, and aggressive criminal defense lawyer with over 20 years of experience inside and outside of courtrooms helping clients obtain great results for retail fraud and other theft accusations. Choose a lawyer that has your best interest at heart to work on your behalf! If you have been accused of any theft crime, such as retail fraud, anywhere in Oakland County, it's time to make an impactful decision to contact us right away for outstanding criminal defense representation. Unincorporated communities including Andersonville, Austin Corners, Brandon Gardens, Campbells Corner, Charing Cross, Clintonville, Clyde, Commerce, Davisburg, Drayton Plains, East Highland, Elizabeth Lake, Five Points, Four Towns, Gingelville, Glengary, Goodison, Groveland Corners, Hickory Ridge, Highland, Huron Heights, Jossman Acres, Kensington, Lake Orion Heights, Lakeville, New Hudson, Newark, Oak Grove, Oakley Park, Oakwood, Oxbow, Perry Lake Heights, Rose Center, Rose Corners, Rudds Mill, Seven Harbors, Springfield, Thomas, Union Lake, Walters, Waterford Village, West Highland, West Acres, and White Lake. Retail Fraud cases in Oakland County are prosecuted at the following courthouses: 35th District Court (660 Plymouth Road in Plymouth 48170. A small section of Northville is found within Oakland County, and jurisdiction for these non-juvenile Northville cases are with this Court); 43rd District Court in Ferndale (305 East 9 Mile Road); 43rd District Court in Madison Heights (200 West 13 Mile Road); 43rd District Court in Hazel Park (43 East 9 Mile Road); 44th District Court (400 East 11 Mile Road in Royal Oak 48068); 45th District Court (13600 Oak Park Boulevard in Oak Park 48237); 46th District Court (26000 Evergreen Road in Southfield 48076); 47th District Court (31605 West 11 Mile Road in Farmington Hills 48336); 48th District Court (4280 Telegraph Road in Bloomfield Hills 48302); 50th District Court (70 North Saginaw Street in Pontiac 48342); 51st District Court at 5100 Civic Center Drive in Waterford 48329); 52-1st District Court (48150 Grand River Avenue in Novi 48374); 52-2nd District Court (5850 Lorac in Clarkston 48346); 52-3rd District Court (700 Barclay Circle in Rochester Hills 48307); 52-4th District Court (520 West Big Beaver Road in Troy 48084); 6th Circuit Court (1200 N. Telegraph Road in Pontiac 48341). The location of your Court is determined by the jurisdiction of the offense. It is very important that you appear on the date and time, and at the scheduled location of any Court date which you receive notice for. It is recommended that you retain legal counsel prior to attending any Court date (if you have the ability to do so).